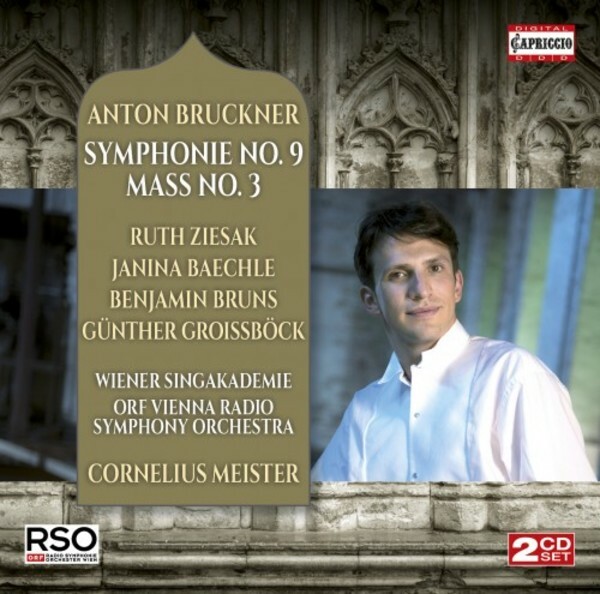 The composition of his Ninth Symphony proved a struggle for Anton Bruckner. Having begun work on it in the late summer of 1887, it remained unfinished by the time of his death nine years later. The movements that he did complete have a more 'stand-alone' quality than in other symphonies - perhaps as a direct consequence of there being no finale to round off the arching structure and bring the work's dramatic development to a conclusion. Bruckner intended to dedicate the Ninth to "my dear God", and his Mass in F minor is also a work of gratitude to God for his recovery following a period of sustained nervous exhaustion. Performed several times during Bruckner�s lifetime, the Mass in F minor has always ranked ahead of its sister works, those in D minor and E minor, securing a place for itself among the most popular, late Romantic sacred choral works.